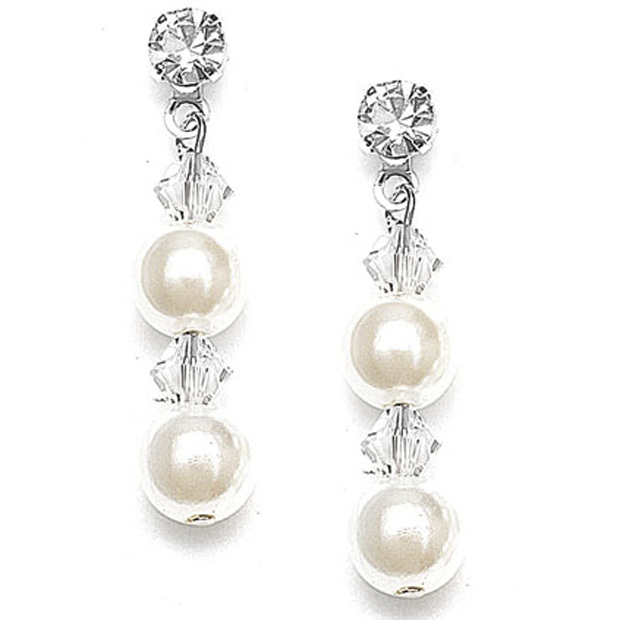 * Mariell's best-selling bridal and bridesmaids earrings feature a dainty crystal stud top with alternating 4mm Austrian crystals and 6mm Swarovski crystal-based pearls. * This popular wedding jewelry is proudly hand-crafted in the USA. * These dangle earrings are shown in classic Ivory/Clear and are also available in White/Clear and 24 additional dazzling colors. * These stylish dangle earrings are 1 1/8" h and are offered as either pierced or clip-ons. * They have a lovely matching necklace style 235N and bracelet 235B sold separately.